It is probably not an uncommon experience to spend a lot of time trying to make a video as high a quality as you can, then uploading it to Youtube and being very disappointed. It looks great when you play it on your computer but poor on the web. I just shrugged my shoulders and presumed that Youtube downgraded whatever I uploaded so there was little I could do. That fact that many videos were high quality on Youtube did raise a few doubts as to whether I really was powerless. My son had noted that there were some high quality Youtube videos too – and he is a serious Youtuber: Random Robi . So he wrote to another Youtuber PlaneSpottingBerlin whose videos he admired. Surprisingly, he did get a detailed answer. 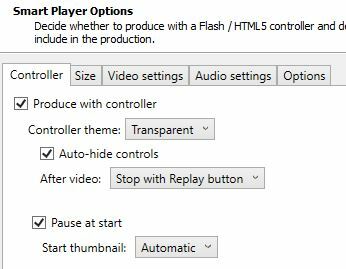 The settings I use now are customised based on the settings my son now uses on Camtasia Studio 8 – these may be useful for other video editors too. Size: The size of the video could make a difference to the quality – the larger it is, the more likely the quality will be poorer. It depends if on the camera which shot the video. Video settings: These are likely to be the most important to adjust. Audio settings: These used to be important when the internet was slow. However, these days the difference in size between tinny sounding 32 kbps and decent quality 128 kbps isn’t worth troubling yourself about. Hope this helps Youtubers improve their videos. Ever find at home that the internet becomes very slow suddenly and for no apparent reason? You guess someone is downloading a movie but no one is. Someone is uploading to Youtube, but that should be okay as it doesn’t take up any of the download bandwidth. Wrong. My son is very conscious about what happens when he starts to upload his Youtube movies – the rest of us have no internet! Quite simply the Youtube video takes up all the upload bandwidth and so the forlorn clicks the rest of the family make don’t reach their destinations to request new content. Result – no internet browsing. When my son estimated it would take about 4 hours to upload his next video, the hunt was on for a solution that would satisfy us both. 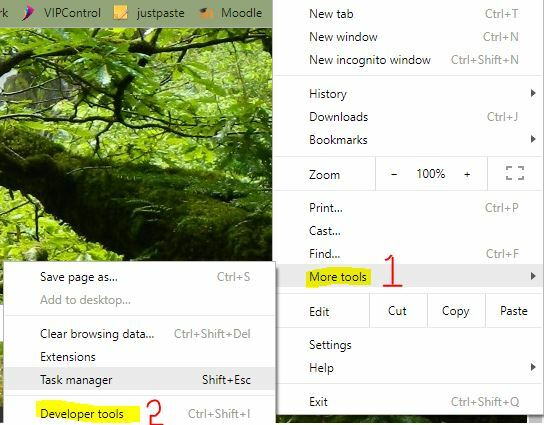 Customise Chrome using this dropdown menu. Finally, you will get to the settings that are very important for developers. They can use these to test how their products will act under differing internet speeds and latencies associated with access types – mostly for mobile phones. We can use them to limit the upload speed. Having done some speed tests on my system, I guess that the upload speed could be about 2 Mb/s on a good day. So I decided to limit my son to 1 Mb/s to allow the rest of us to communicate with the outside world. I had to also set a download speed limit so I chose 3 Mb/s knowing that speed would probably be more than he would need for anything he does. The units specified are in kb/s. I wrote in 3000 kb/s for Download, 1000 kb/s for Upload and 2 ms for latency (increasing this potentially slows down the internet – not what I want to do). Note: if you have written only 3,1 and 2 then you will effectively have shut off the internet for that computer! 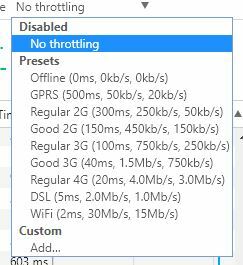 When you shut the Setting window you will still see the No throttling label. 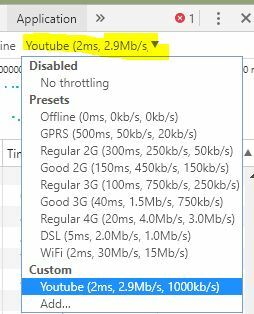 Click on the No throttling label then select Youtube. You have now limited the computer to whatever values you chose. Make sure you remember to return the setting to No throttling afterwords. They look digitally savvy – but can they manage their uni apps? Just because students look really switched on and masters of their digital world doesn’t mean they can effortlessly adapt to a new app or online program. 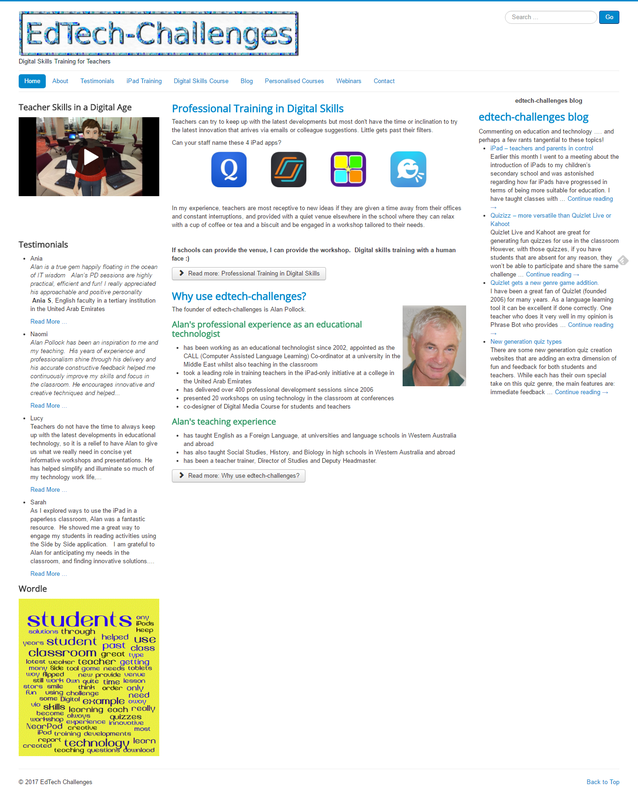 Teachers can’t assume too much digital expertise and will need to build in the possibility of some student training every time they introduce a new digital aspect into their teaching. View this video to see how you can use justpaste.it to reduce a long url to a clickable one. Great for mLearning on phones and tablets. Copy a web link from a website. Write a description of the webpage and create a hyperlink associated with the description. You can write that on the board, or send it via email. Students can bookmark that page which you can use in the future to add or edit other web links. This is excellent for iPads as they only have to tap on the hyperlink to get to the correct web page. You can use the Print function in Windows to save a webpage as a PDF – but the end result can be quite disappointing with some words missing and formatting all over the place. A better option is to use a website called, appropriately, Print Friendly. It is OCR readable and the web links still work. Simple to use – just paste the url of the page you want to convert to PDF, select PDF and it will give a good result. Not perfect, but more than acceptable. A great feature is that it gives you the option of removing parts you don’t want, such as adverts, before the final conversion. If you think this will be a regular enough occurrence then you can use the extension for your browser that places a button on your address bar. As a web based service it is suitable for all devices and operating systems that are internet enabled. If you want an “ad-free service, white-label, and advanced customization” you can buy an an account. It has been translated to over 20 languages, which is a great bonus for those who do not speak English. I have used this several times to save some blogs and have had mixed success. So make sure you check what has actually been captured. If what you want to capture has not been captured, then report that to the support desk. It will help them improve their product. I love the Snipping Tool that MS Windows supplies. Just select the part of the screen you want to capture, highlight the part you need to, then press the email icon and send it on to the person needing it. Saves so much time compared to taking a screenshot, cropping it, saving it and uploading to your email. 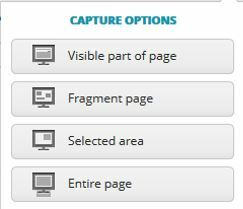 However, there are times when you want to capture a whole webpage which has a lot of information you have to scroll down to read. That is when the Snipping Tool is found wanting. Nimbus is then the go to app in MS Windows, and is also a great choice in Linux. It is an extension to Chrome and Firefox so you first have to install it. 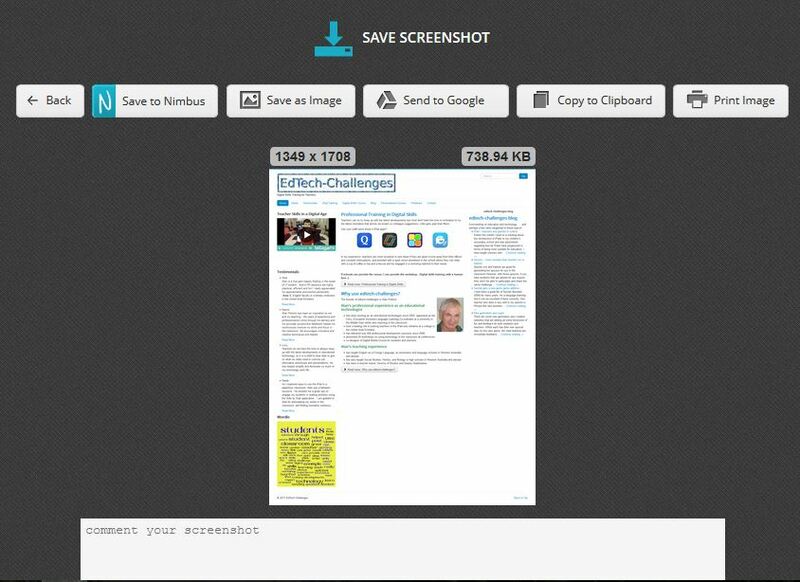 Search for Nimbus Screen Capture in Firefox and Nimbus Screenshot & Screen Video Recorder in Chrome. Select where to keep it, and that is the finish. If you use Linux, then you have another free rival for Nimbus called Shutter. Caution: To capture the full webpage in Shutter you need to make sure the gnome-web-photo packages are also installed. Navigate to the website you want to copy and press the website icon – the one click solution. Note that Nimbus and Shutter create pictures that do not have any live links. If you want to capture a website in its full html glory then you can use a premium version of the social bookmarking site Diigo. Earlier this month I went to a meeting about the introduction of iPads to my children’s secondary school and was astonished regarding how far iPads have progressed in terms of being more suitable for education. 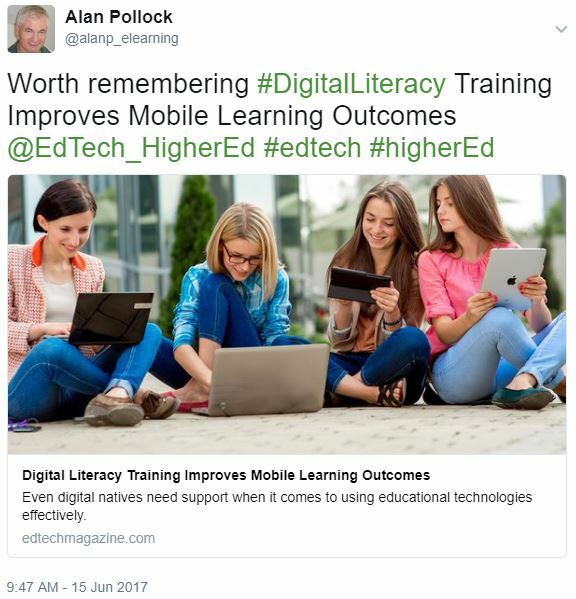 I have taught classes with 1-to-1 iPads in the past and two major concerns were students being distracted by other apps, and trying to limit the students to using only the correct app in an exam situation. For exams we used Guided Access to restrict what app students could use, which was a cumbersome, time consuming procedure. The meeting centred on the power of Mobile Device Management (MDM) software called ZuluDesk. It allows teachers and parents to decide which apps a student can use at which particular time. It can impose restrictions based on the location of the iPad (e.g. at school or at home) and based on time. It can block access to any app 24 hours a day. So if the parents don’t want their child to have access to the Twitter or Facebook app, they won’t get access even at home. In real time, if a teacher wants students to only use NearPod in class, that is all they can use. 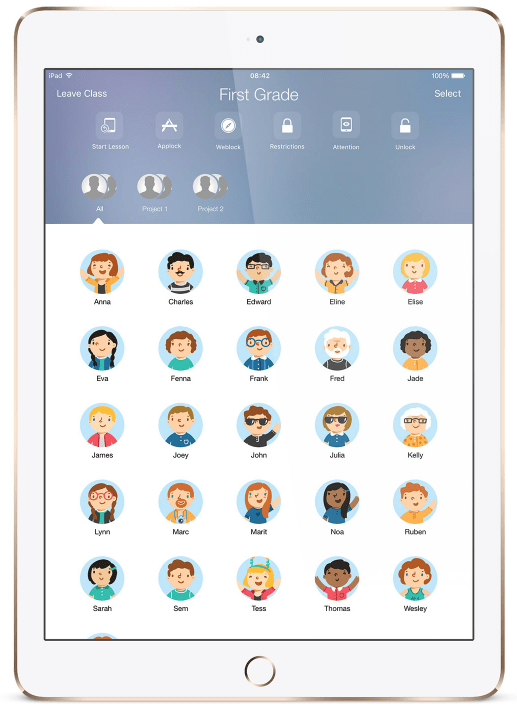 With a tap on their ZuluTeacher app, teachers can also turn the students’ iPads into non-responsive devices so they can enjoy the full attention of the students. Of course the students can access Facebook, Twitter, etc via their browsers, can’t they? No – because the schools and parents can set up url blacklists – again, based on time and location. Parents can set what apps and websites are available at home and for how long. 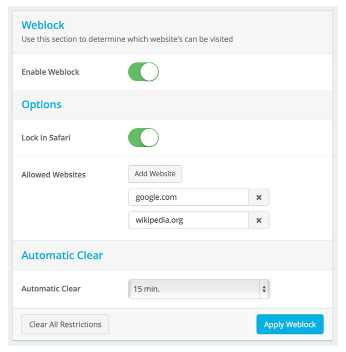 The web traffic is directed through the school’s DNS setup so web blocks are effective even at home. The presenter, from Dexterra (a Western Australian organisation and reseller of ZuluDesk), explained that the lock down is done at a low level. When the iPad starts it reads the serial number and recognises that it is controlled by ZuluDesk – it isn’t just an app that can be easily deleted. This is a new and bold direction for the school as students up to now have not been allowed to use mobile devices in classes – all mobile phones had to stay in the student lockers during school time. But with ZuluDesk, iPads will not transform break times from lots of kids talking and joking into app zombies. Most probably the students will find that outside class times they can only access homework apps or even none at all! Parents can choose how restrictive to be on an individual basis (except they must access the internet via the school’s DNS settings) outside school time. Therefore this is a solution that can appeal to both the libertarians that want their children to be exposed to social media and most of what the internet has to offer from a young age, through to those who believe their children should be shielded from the full experience of the internet. Quizlet Live and Kahoot are great for generating fun quizzes for use in the classroom However, with those quizzes, if you have students that are absent for any reason, they won’t be able to participate and share the same challenge later or from a computer away from the classroom. You can’t set a challenge for homework with those two games. Enter Quizizz, which has the ability for asynchronous playing. It is a great feature. You can set the quiz to end at a particular time, for example, a week away, challenging the students to get the highest score within that time period. When you first view Kahoot and Quizizz, you can well imagine that a lot of the design is actually the same coding as they seem so similar. One point of difference is that the questions and options in Kahoot are on the teacher’s screen, with the students only having to choose between the different colours on their devices. When playing a Quizizz quiz, students can read the options on their own devices. This could be very useful for students who have difficulty reading the teacher’s screen. 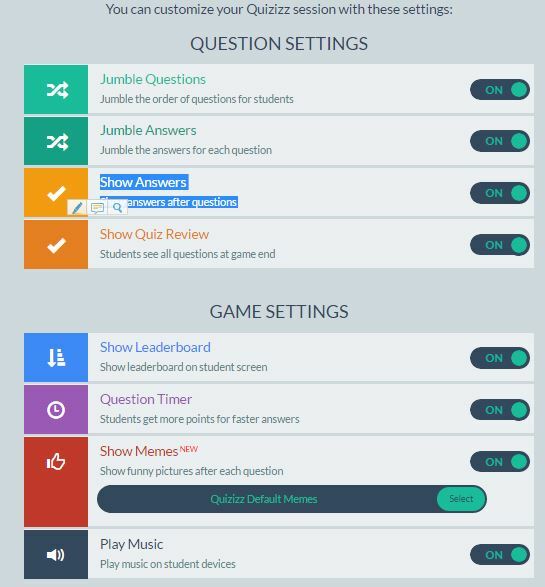 Like Kahoot and Quizlet, Quizizz allows teachers to find and import suitable quizzes and share them with one another. Having trawled through the offerings, I would say that the Quizlet quizzes are the most likely to be written by teachers and therefore reliable. Many Kahoot and Quizlet quizzes appear to be written by students and contain glaring errors! 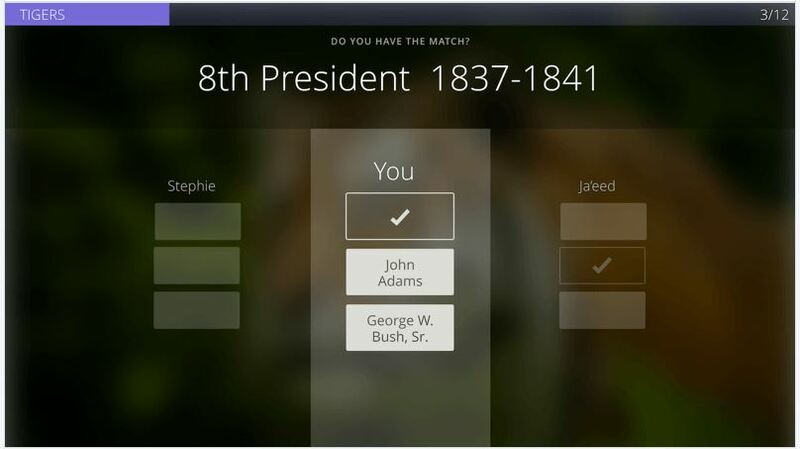 Quizlet gets a new genre game addition. I have been a great fan of Quizlet (founded 2006) for many years. As a language learning tool it can be excellent if done correctly. One teacher who does it very well in my opinion is Phrase Bot who provides definitions and examples with the vocabulary items for the Academic Word List. For example the Quizlet for sublist 5 of the Academic Word List: AWL sublist 5. My favourite mode of Quizlet was the Scatter game where students had to match terms and definitions as quickly as possible. The timer showed how fast they could match the 10 definitions and vocabulary items on display. However, my students got really competitive and decided to win by gaming the system, not by trying to use brain power to find the answer. They quickly dragged a definition to the closest word and then to the next word if they didn’t match and so on. They could do one exercise in under 19 seconds! My better students were dismayed to see the students that had done no study getting the prizes for fastest finished. I hoped Quizlet would introduce a penalty for wrong guesses – and that was what this post was originally to do – to urge them to have a mode of gaming that did reward those that had studied. Well, the innovators in Quizlet must have read my mind. Or, more plausibly, they saw the impact Kahoot was having in the language games sphere and decided to add an option to meet Kahoot head on. Since April 2016, Quizlet now boasts their Live option. 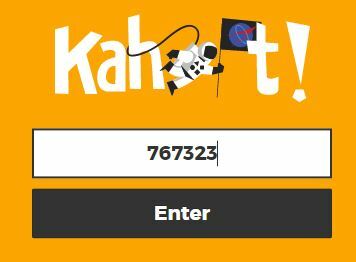 Just like Kahoot, the teacher sets up the game at one internet address and the students login on another. This way the teacher gets to see and display the leader board to the whole class while the students get the quiz on their screens. Just like Kahoot. Then there is the mLearning twist unique to Quizlet. The Live session is best done with mobile devices such as mobile phones, iPads, Chromebooks or even laptops – not in a computer lab with stationary desktops, which is where I did my first trial with Quizlet Live. 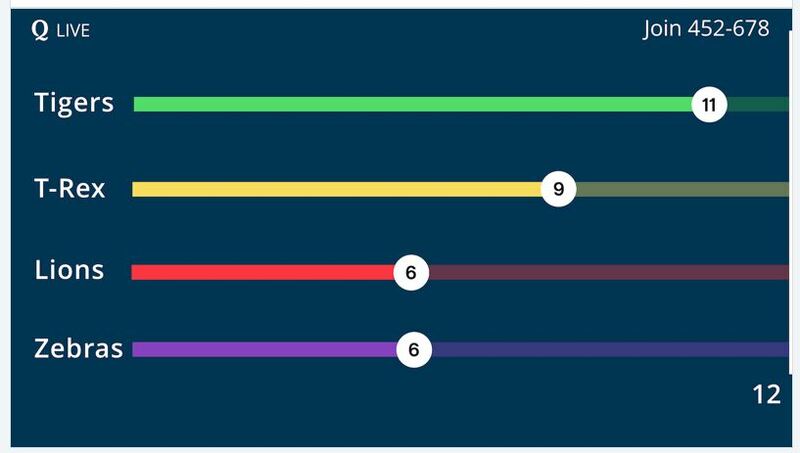 Because Quizlet Live will allocate the students who are logged in to teams at random, not those sitting next to each other. A great way to get a class to mix and collaborate. The scoring scheme here at first appears to be the same old boring single points for the correct answer. However, the winning team is the one that gets to 12 points first, so there is an element of rewarding the fastest responder. I was hoping Quizlet would at least penalise the students a bit in the Scatter mode for getting wrong answers. In Live, the punishment for a wrong answer is immediate and extremely harsh. Your team simply loses all the points it had gained up till then. Snakes and ladders on steroids. With no ladders and long snakes. This enforces collaboration and is a huge disincentive for the quick click. Remember it is a team game. Everyone has to answer the question correctly for the team to get the point. If just one team member clicks wrongly, all the points are lost. So the smartest teams discuss which of the four options the right answer is, then one member bravely clicks on the consensus answer. If that is right, the rest also click on that answer. My class were very engaged – far more than when they did Scatter. They had to gather round one desktop to select the answer then scurry to their other desktops to click on the answer before the group were awarded their point. Got a class that needs a bit of a shake up? Play Live on desktops! How does Live compare to Kahoot? 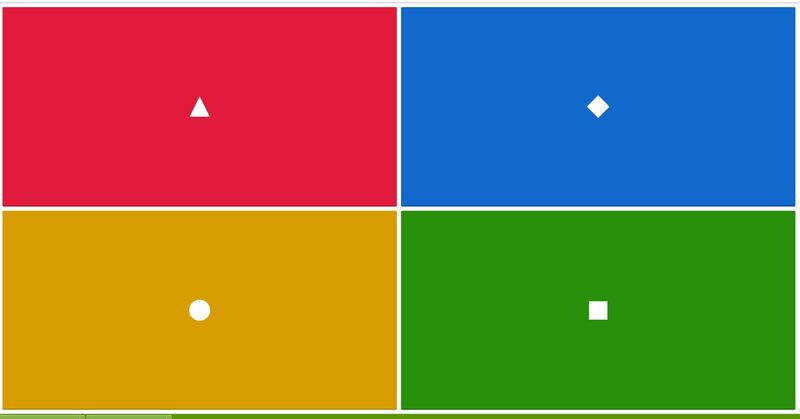 Kahoot can be played in both team mode by getting students sitting next to each other and individual mode. There is no individual mode for Live. You need at least 6 students to play Live – tough if you have only 5 in your class. Of course, if you want to be creative, just get one person to sign up twice. 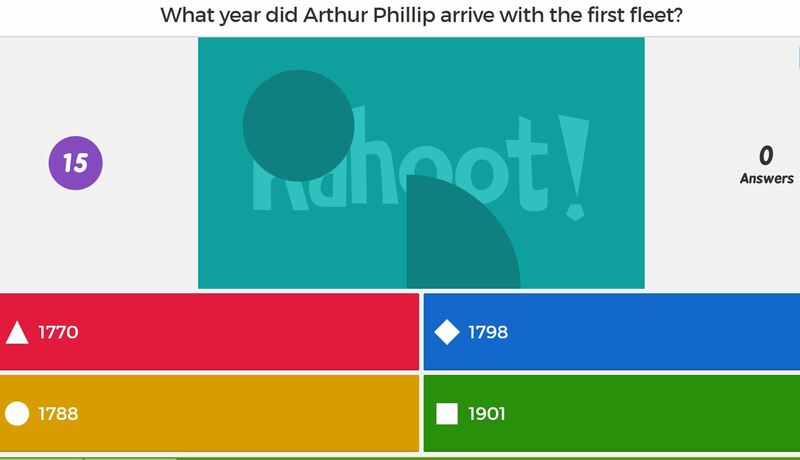 Kahoot positively rewards correct answers, the faster the better. Wrong answers merely mean no extra points. With Live wrong answers strips your team of any points. Weaker students might find the constant stripping of gains a turn off. But the Live method is great for enforcing collaboration. Kahoot gives you the ability to analyse each student’s performance after the game is over whereas in Live you can only see the team result. Quizlets are far quicker to create. Every answer and distractor in Kahoot needs to be written in. With Quizlets, you just supply the items and matching answers to be tested then the distractors are automatically drawn from the other answers in the quiz. For example, if you have a 20 question quiz, in Quizlet you write 20 items and the matching answers. That is 40 entries. For the same quiz in Kahoot you have to write in the item plus the correct answer and 3 distractors. That is 100 entries compared to the 40 in Quizlet. You have so many other modes (Flashcards, Learn, Test, Speller, plus the games Scatter, Gravity and now Live), supplied with Quizlet that can be used as self-study, which Kahoot doesn’t have. So Quizlet has more than just an edge over Kahoot in my opinion. However, both have a place in any teacher’s eLearning toolbox, increasing engagement as a result of the competitive juices flowing. There are some new generation quiz creation websites that are adding an extra dimension of fun and feedback for both students and teachers. the results are kept for the teacher to analyse after the quiz is ended. The feedback in terms of a leader board so that all the class can see themselves compared to others, plus the points depending of the speed of response, are what elevates this genre from the old Hot Potatoes, StudyMate, Respondus, Wondershare quiz style. Kahoot! (at about the end of 2014) was the first of these quiz types. It featured a way for a teacher to control the game whereby everyone gets a question at the same time and the points they got for getting it right depended on the speed they answered (I called this type of scoring “poinutes” when I designed a game for an app in 2012). So rather than see the best students all equal on the same points, which is a bit boring, they would be split by the speed of response. This can build up anticipation as the students await the scores on the leader board after answering each question. I imagine it can set up quite a tension towards the end of a quiz as there is guaranteed to be winner. Step 1 – the teacher sets up the quiz and displays a code on the teacher’s whiteboard or smartboard. 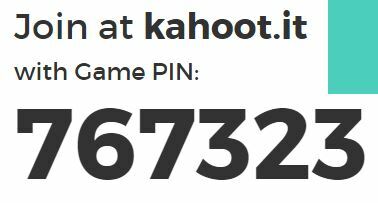 The students go to kahoot.it (which is a bit confusing when you do it the first time as it is a different url from the teacher’s) and use the code to enter the game. This is what is displayed on the board. This is the teacher’s view. This is what the students see on their desktop, laptop or mobile device. Here you can see the scoreboard – only me at the moment! It is designed as a whole class activity and does it very well. All the questions are multiple choice types – up to four per question. These are displayed on the whiteboard of the class while the student screens only display up to four coloured squares for the students to choose from. This forces all students to pay attention to the whiteboard. To add a bit of a twist to playing the game a second time, there is a “Ghost” mode. This displays the players’ current score and their previous score at the same stage of the quiz. Students can then get some fun from playing against themselves even if they can’t match other students – some clever motivational psychology at work. The main downside is that the quiz can only be used in class – it can’t be set for homework or as a reward for students finishing early. Also, the responses are just clicking – no active typing required. A caution about selecting this quiz type is that it will take quite a long time to create it, compared to Quizlet, for example. You have to make up all the vocabulary and distractors yourself. You can certainly copy those distractors once you have created them, but even creating just a 10 question quiz would result in the teacher copying 50 words and definitions.